The children were invited to dress up as Superheroes to celebrate the themed lunch being served! 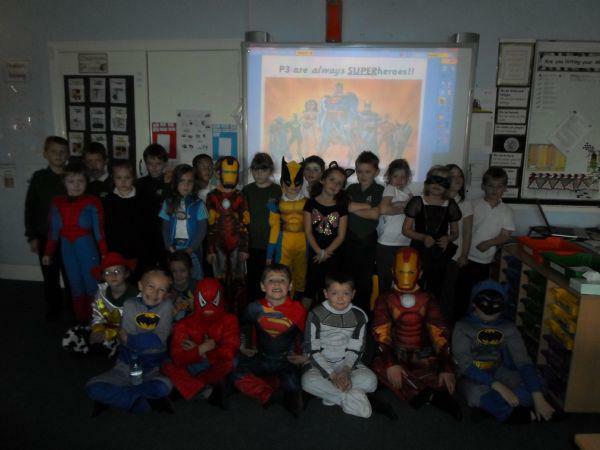 We think p3 are always super but today so of them wore their costumes and tackled their work with their superpowers! !